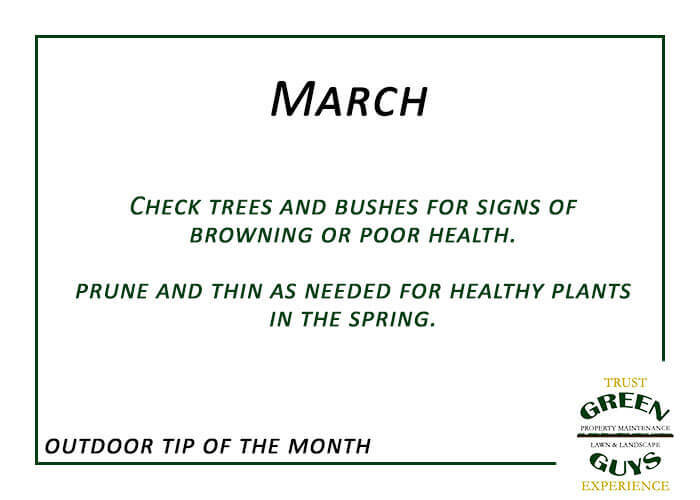 Check evergreens for browning and deciduous trees and shrubs for buds that have died. If you didn’t rake leave or remove old fruit from deciduous trees last fall, do so now. Deep water trees and shrubs as needed this month.